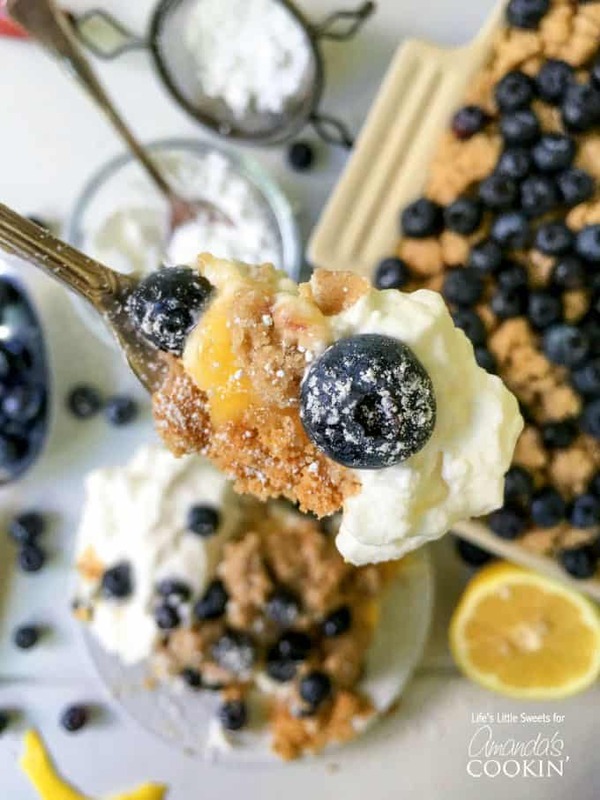 This one-pan no bake blueberry cheesecake is made with Mascarpone cheese, making it a decadent and delicious dessert with fresh blueberries and tart lemon curd. 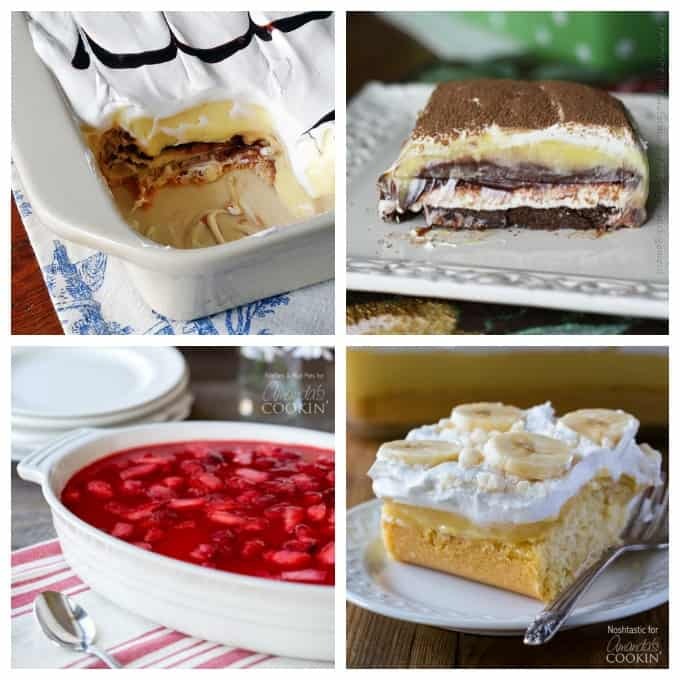 Enjoy this zesty and flavorful one-pan dessert for your next party, potluck or holiday! 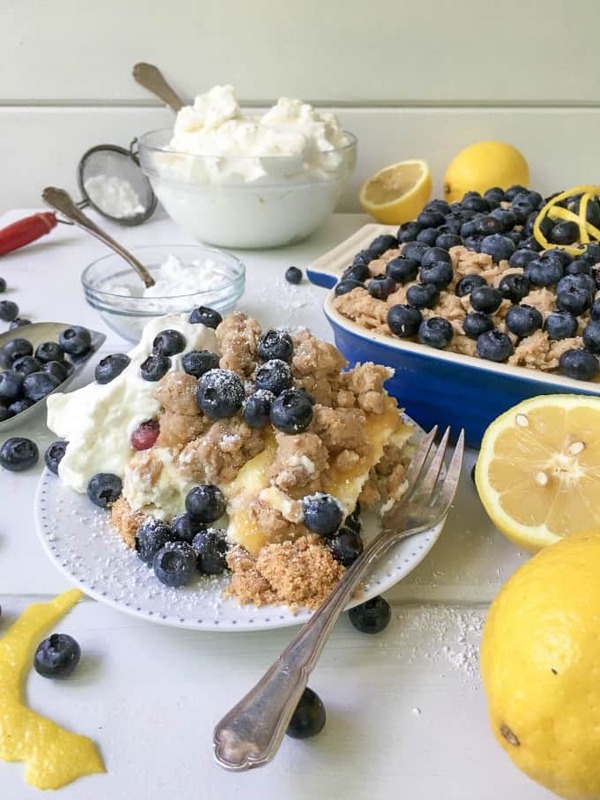 I have been thinking about my No Bake Mason Jar Berry Cheesecake Trifle recipe and wanted to make a version of it into a one-pan dish using fresh, in-season blueberries and zesty lemon curd. 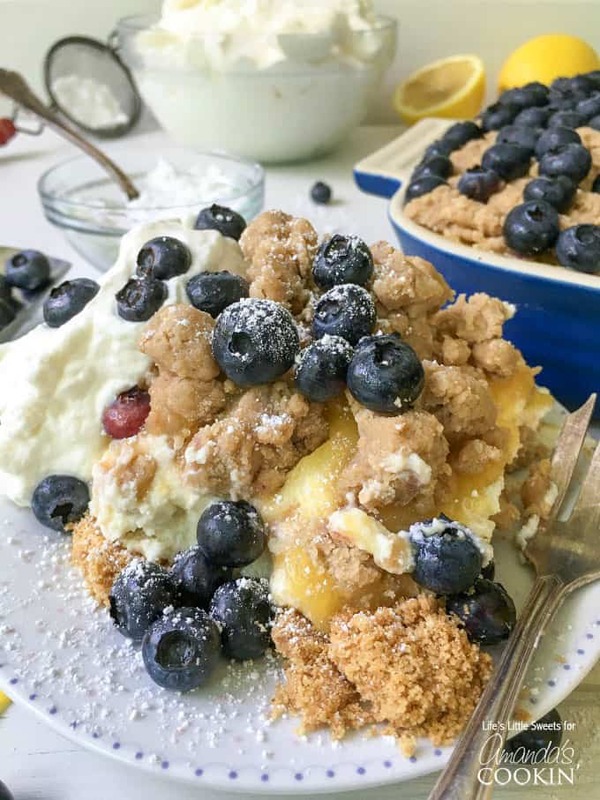 Lemon and blueberry marry well together, and combining them in a creamy no-bake cheesecake makes for a refreshing summer dessert. But where does the crumble part come from? 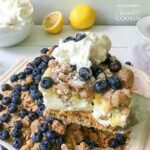 I adore coffee cake with lovely crumbles on top. That got my wheels turning and I decided to combine my love of coffee cake crumble with decadent cheesecake. If crumb topping isn’t your thing, that layer can be skipped and you still have a complete, one-pan no-bake dessert that is delicious and satisfying. For those of you who don’t mind (i.e. all those cookie dough lovers out there! ), you will love the extra texture and rich, brown sugar flavor it provides. Another favorite of mine, Mascarpone is lightly sweet and very smooth which lends itself very well to this no-bake blueberry cheesecake. I hope you enjoy this no-bake blueberry cheesecake as much as my family has been enjoying it! 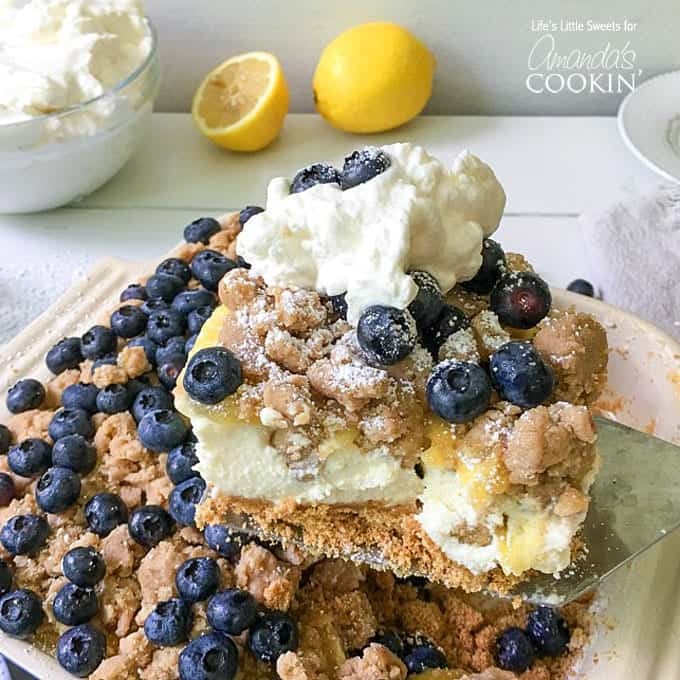 This One-Pan Blueberry Lemon Crumble No Bake Cheesecake is made with Mascarpone cheese for a decadent and delicious dessert with fresh blueberries and tart, lemon curd. 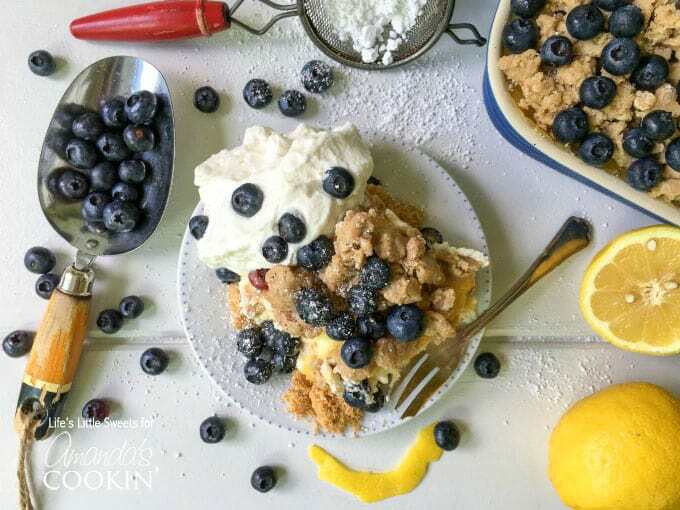 Enjoy this zesty and flavorful, one-pan dessert for your next gathering! Grease an 8x8 or 9x9 inch square pan with canola oil (or any oil that is liquid at room temperature). Process 2 packages of regular graham crackers in a food processor until you reach a fine crumb. Mix the graham crackers with 5 tablespoons melted, cooled butter (or 5+ tablespoons melted and cooled coconut oil), until combined and evenly press mixture into the bottom of the pan. Using an electric mixer, whip room temperature Mascarpone until smooth. Pour in the can of sweetened condensed milk and combine. Add the lemon juice and vanilla extract and mix until combined. Pour the mixture over graham crust layer and using a baking spatula or offset spatula smooth evenly. Cover and refrigerate 2-1/2-3 hours or until firm. Spread 5 ounces of room temperature lemon curd on top of firm cheesecake layer using an offset spatula in an even layer. Add the crumb mixture evenly over the lemon curd layer. Add 1 pint of fresh blueberries. Garnish with lemon peel, if desired. Dust with confectioner's sugar before serving, if you chose. 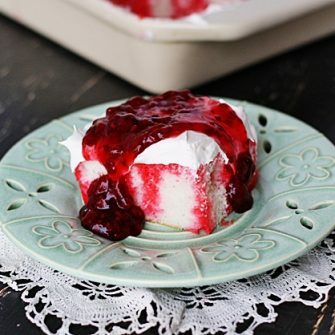 Serve with 1 recipe Vanilla Whipped Cream. Enjoy! When I try to print your recipe, the instructions print but the ingredients do not? Any reason for this? That’s odd. I just tried it and it worked fine for me. Did you click the “print” button in the printable version at the end of the post?